I've had this chicken fabric a long time. It's just scraps left over from a long ago project, but recently I was gripped by a strong desire to fussy cut chickens and make... something. 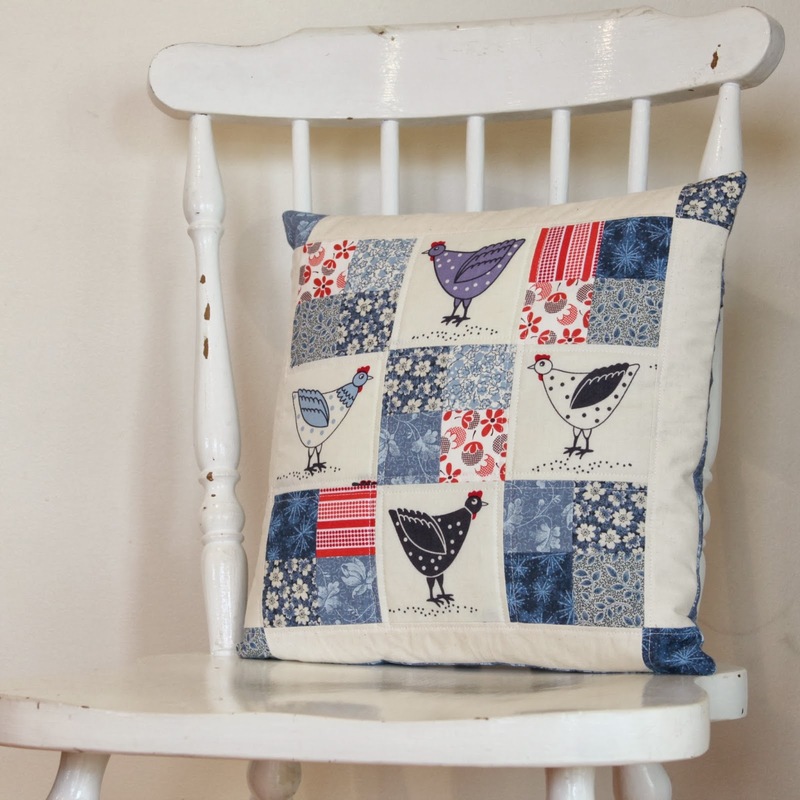 I didn't get as far as deciding what the finished project would be before I dove in but a few chickens and some coordinating fabric turned out this little cutie. I added a zip closure to the back. Previously I've done envelope closures but I always add a button (or three!) as I find they sometimes gape. But now, with a little Mr who loves putting things in his mouth I decided perhaps buttons were not the way to go. It's a little more country than my usual palette (chickens'll do that...) but I really do like it! Fussy cutting urge satisfied! 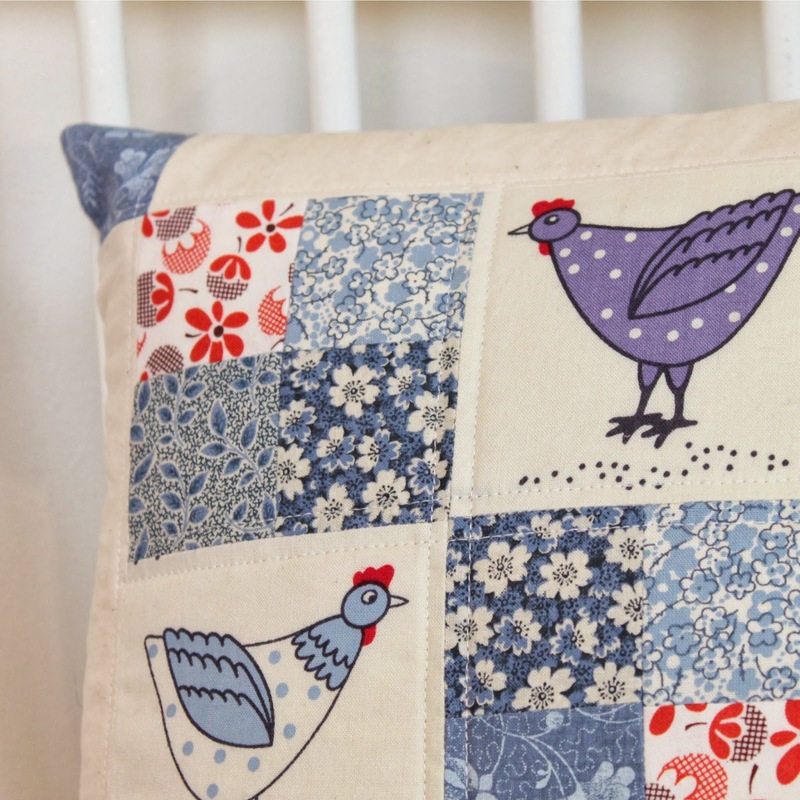 Very cute chicken pillow! I like the fabric and coupling it with the 4-patches was inspired!